We will be closing our doors on Thursday 18th for the Easter Break. 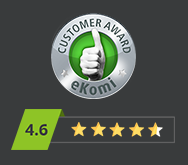 We will re-open from 8am Tuesday 23rd April, During this period orders will not be processed until the 23rd April. 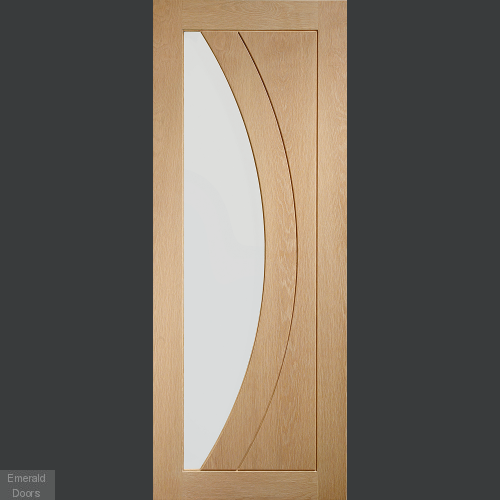 Contemporary Oak Salerno Clear Glazed Internal Door A new addition to our contemporary door collection the Oak Salerno door is a modern stylish internal door. 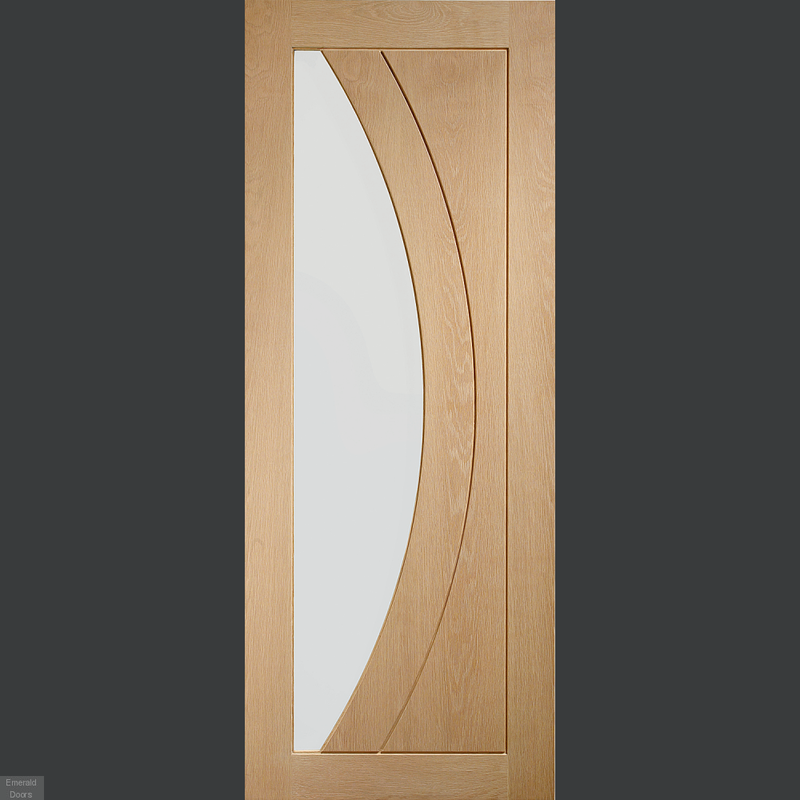 Large curves and deep V-Grooves give this door a distinctive and stylish appearance. 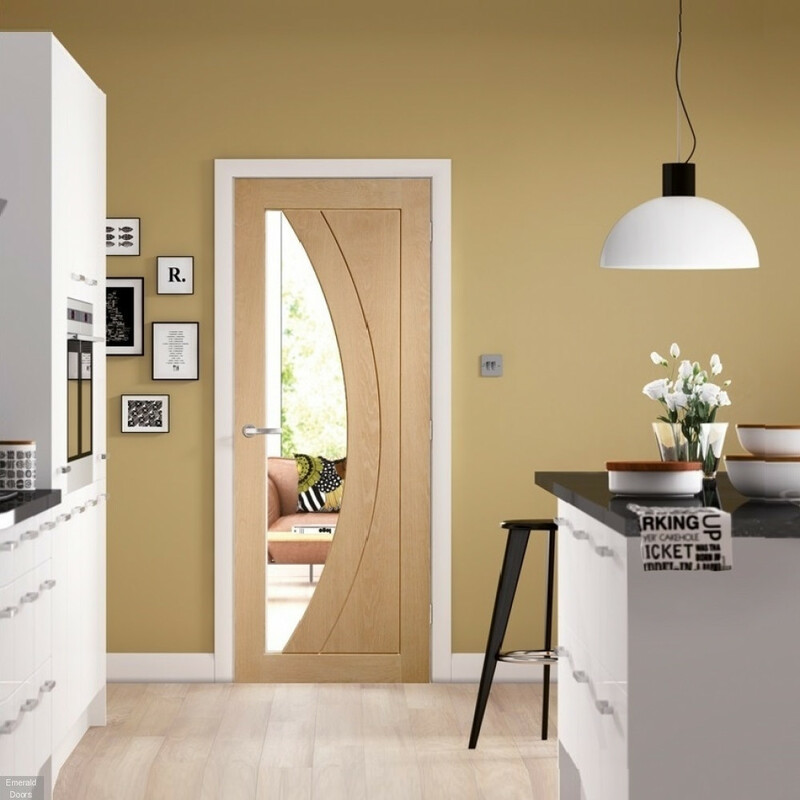 Matching Salerno French Doors also available. Perfectly complimented by the Salerno Internal. 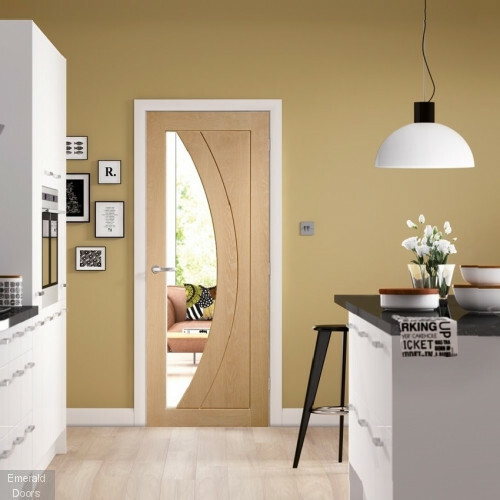 The Salerno Doors can now be supplied in custom made options, call us for further information on our custom made doors. Our Delivery charge is £35.00 to all mainland UK postcodes (any additional doors will be charged at £10) . Website ordering is only available to Mainland UK. 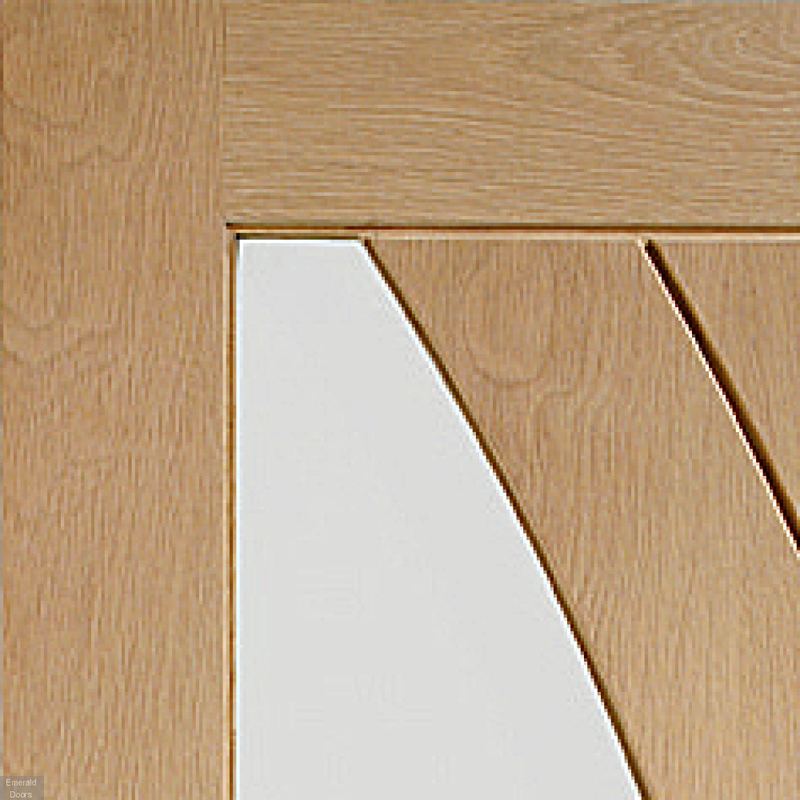 The delivery charge for oversized items such as folding sets and Grand Entrance Doors will be calculated as though these items are multiple doors. 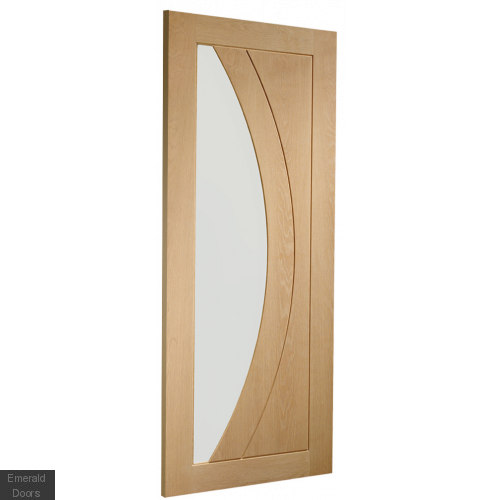 Door furniture will be delivered free with any door order. If you order only door hardware then this will be subject to a £14.99 delivery charge. 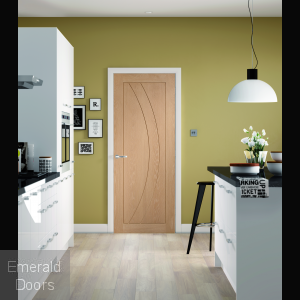 1 Reviews For "Salerno Oak Glazed Internal"
© 2007 - 2019 Emerald Doors UK. Interior Doors, Exterior Doors, Oak Doors and French Doors Specialist.